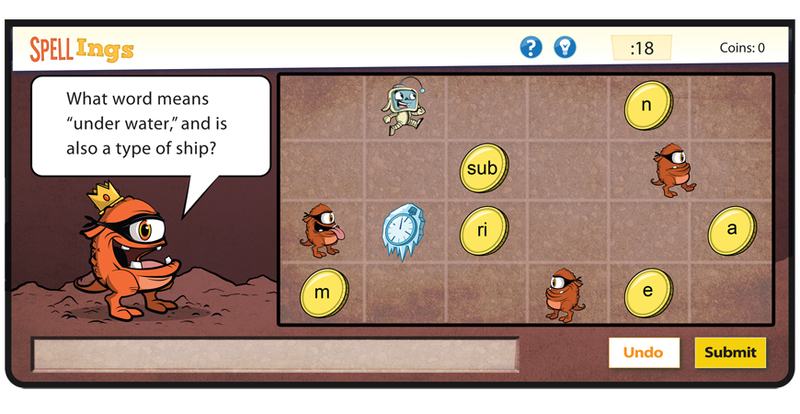 Spell Ings was a mini-game developed for McGraw Hill's FLEX Literacy program. The player controls Charm Ing who ventures into the land of the Spell Igns and must collect coins in a correct order to spell words, while avoiding the wandering Spell Ing's. The King Spell Ing stands off to the side and gives the players hints about words they should be spelling and occasional gives them some friendly taunting.